*When you purchase this lesson you will be provided with a link to download the lesson. Make as many copies of this lesson as you need for your school and only your school. Materials that are downloaded are not returnable. Use the quick order form at the bottom of this page to order additional lessons. Grades: 6-8 The What is? 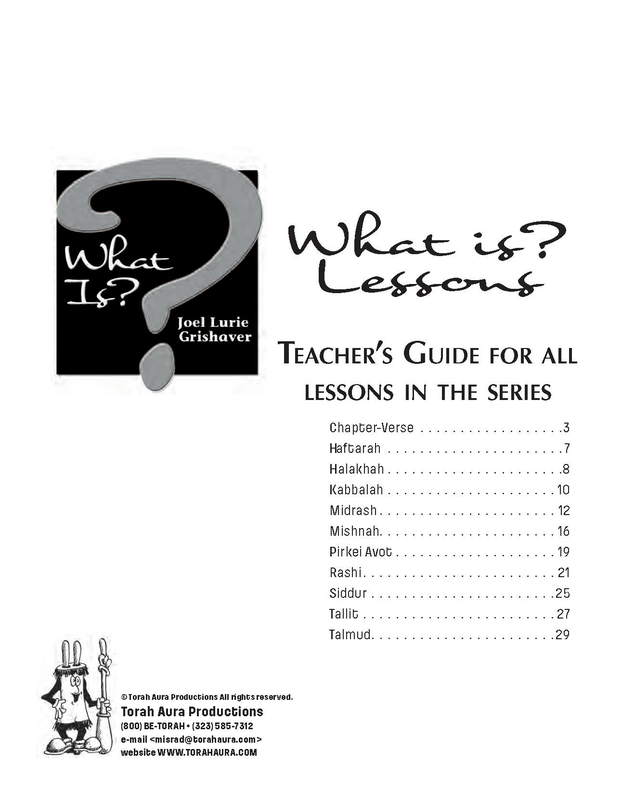 series is a basic introduction to Jewish literacy. Siddur means order—and the siddur is the Jewish order of prayer. Unlike many other religions, but like a lot of others—Jews have a fixed order of prayers. Prayers go in the same order every day. This order evolves from the order and rhythm of the sacrifices in the ancient Temple. 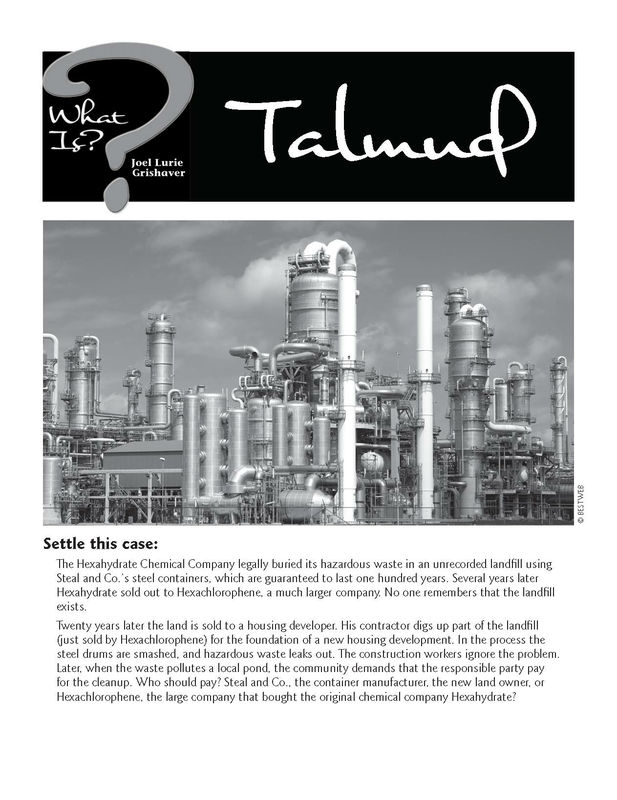 After the destruction of the Temple, services were created to replace sacrifices and the order of those services were described in the Talmud and put into practice in the Siddur. When you purchase this lesson you will be provided with a link to download the lesson. Make as many copies of this lesson as you need for your school and only your school. Materials that are downloaded are not returnable. There are What is? lessons on the following topics. 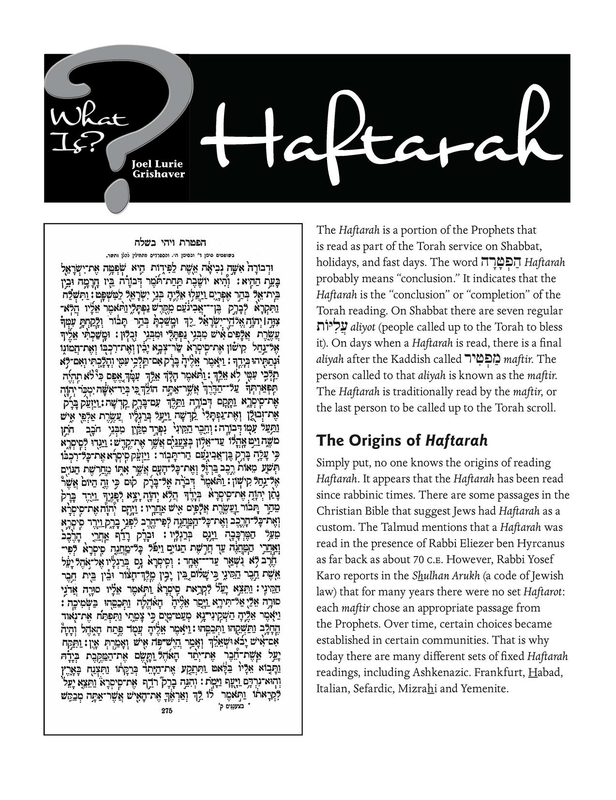 Chapter-Verse What is Haftarah? 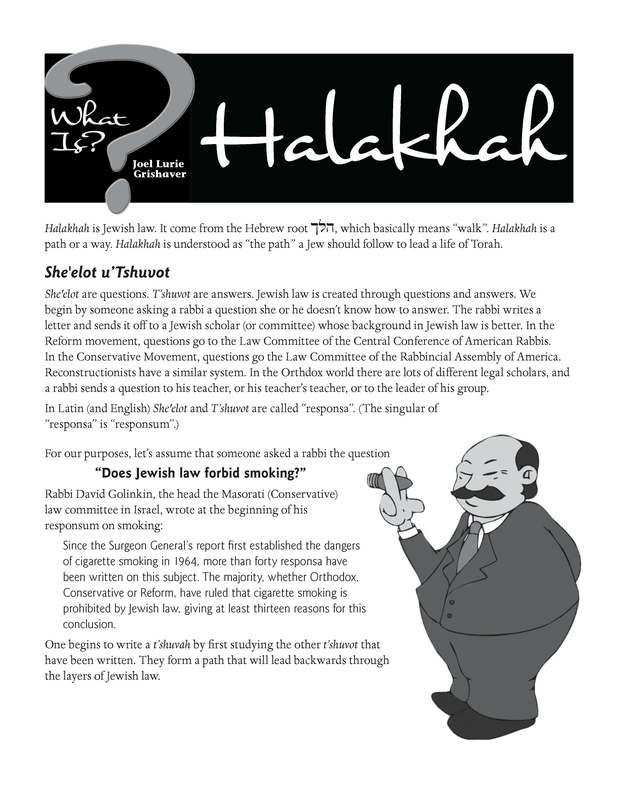 What is Halakhah? 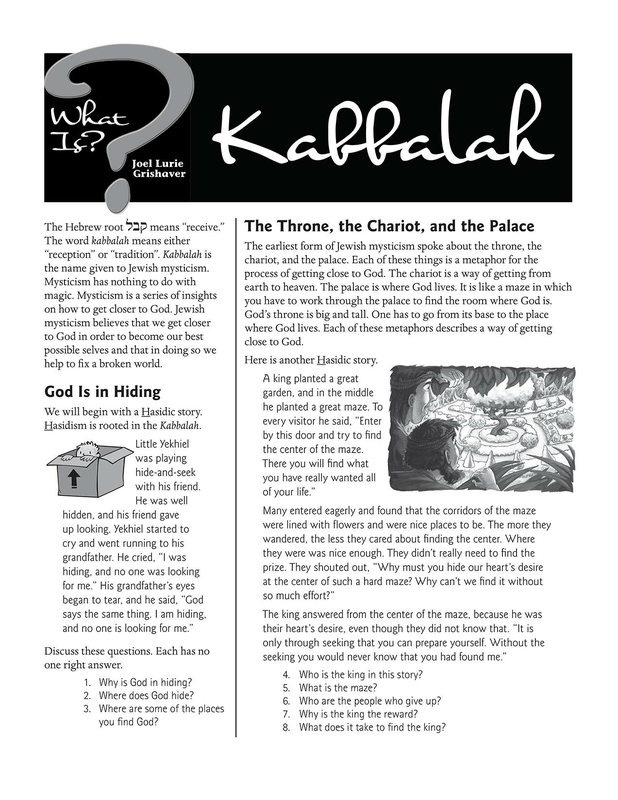 What is Kabbalah? 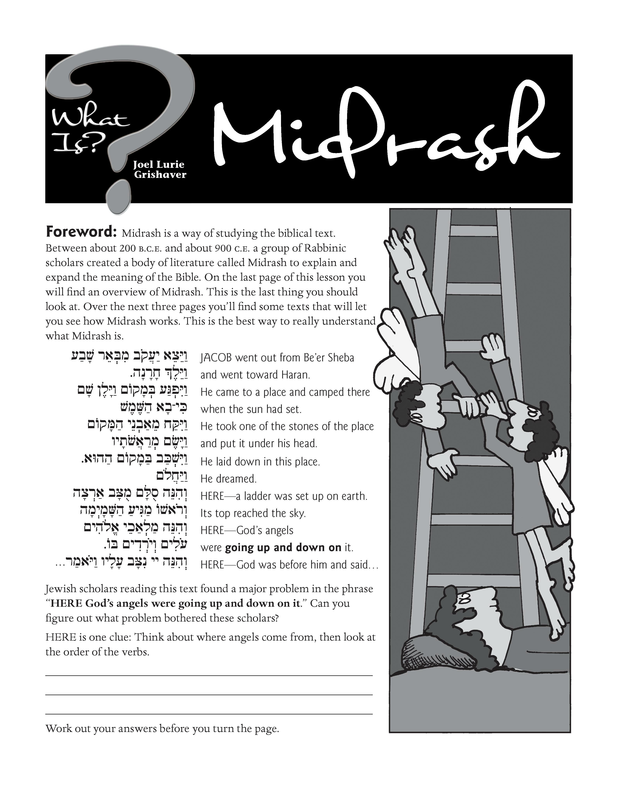 What is Midrash? 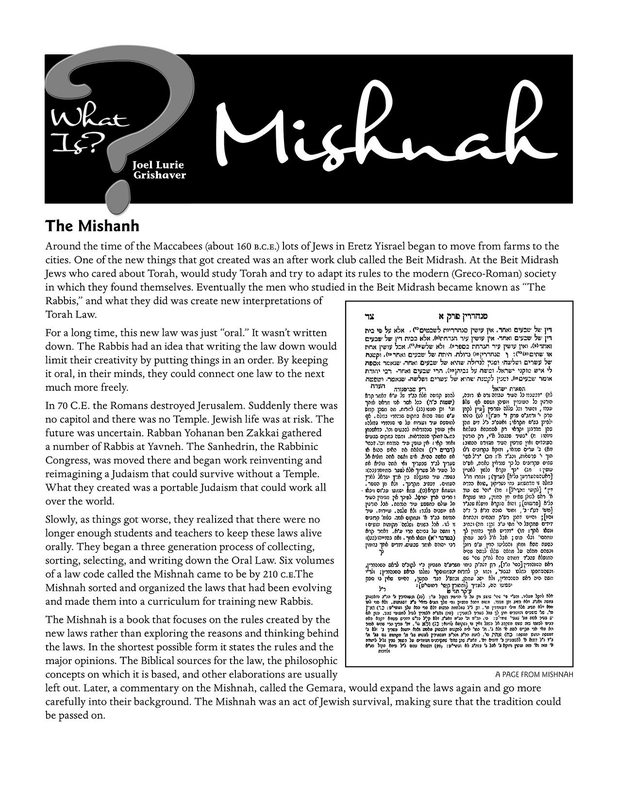 What is Mishnah? 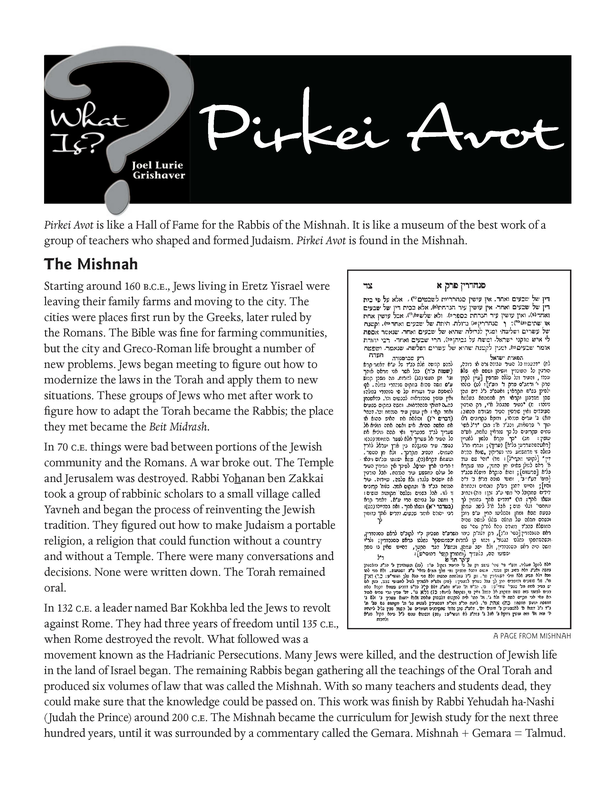 What is Pirkei Avot? 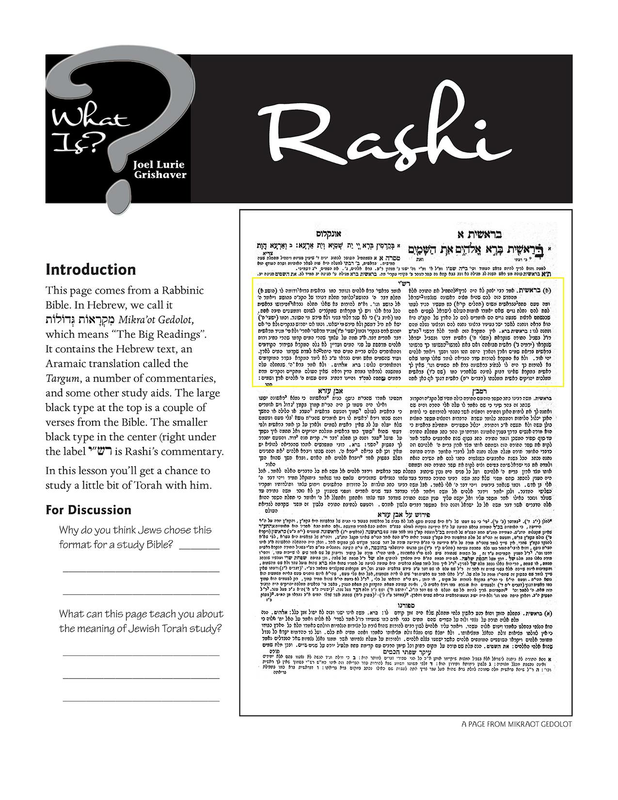 What is Rashi? 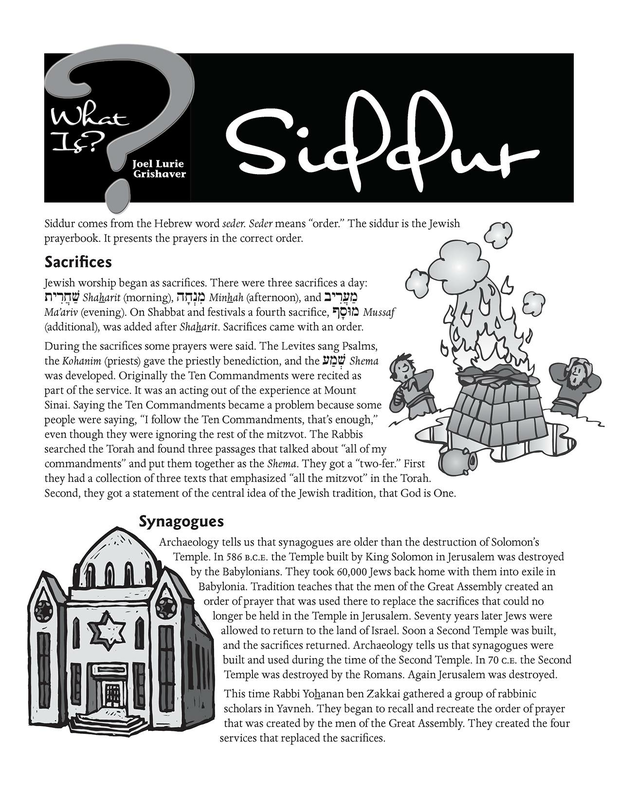 What is Siddur? Select the lesson you want to add to your cart. and then use the add to cart button.